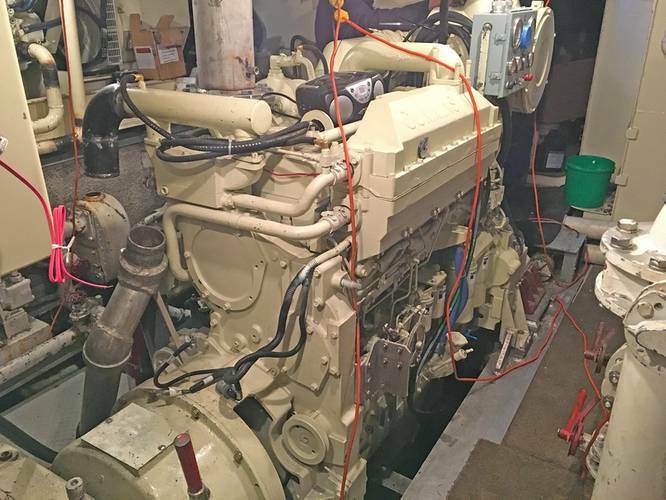 After 60,000 hours of service, crab fisherman Robert Ross decided that his 19-liter Cummins 1150M had earned a rest. 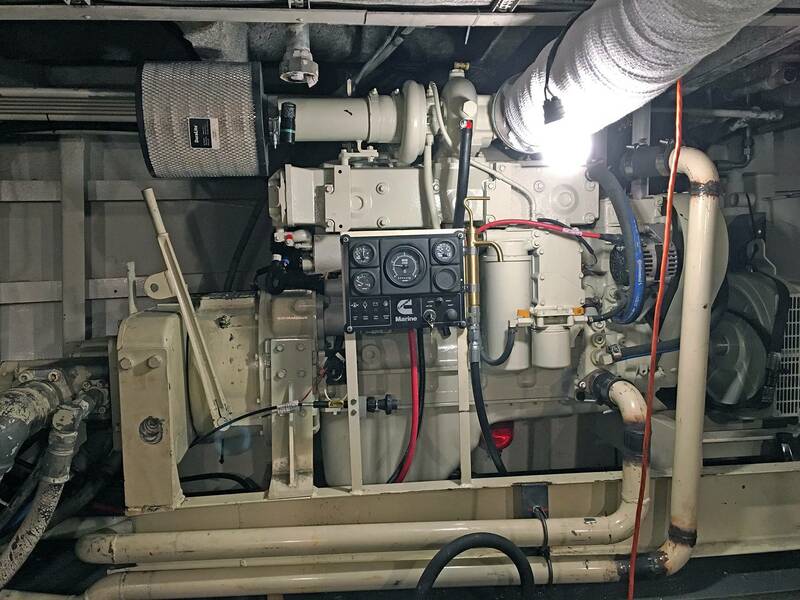 The 500 HP engine had been a perfect match for his 72- by 26-foot aluminum boat so he ordered up a new Cummins KTA19-M3 at 500 HP, continuous duty, from his local supplier Cummins Sales and Service in Fredericton, New Brunswick, in eastern Canada. 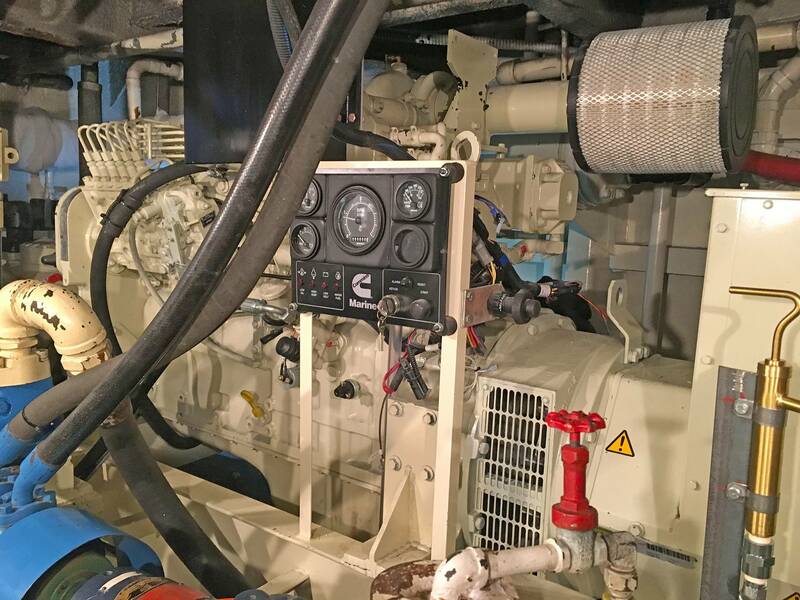 Ross had his well-maintained 39-year-old boat, the Kara-Matt, hauled out at a shipyard and Dugas Equipment Ltd. of Caraquet, New Brunswick took on the repower. Once on the hard, the old engine was removed through a hold cut in the port side. The old engine turned a 52X48-inch propeller on a 5.5-inch shaft through a Capital gear. The new engine turns the same size prop on the same size shaft but it is linked through a ZF W350-1 gear with a 4.536:1 ratio. In addition to the new KTA19 main engine, a pair of 65 kW Cummins-powered generators were installed. 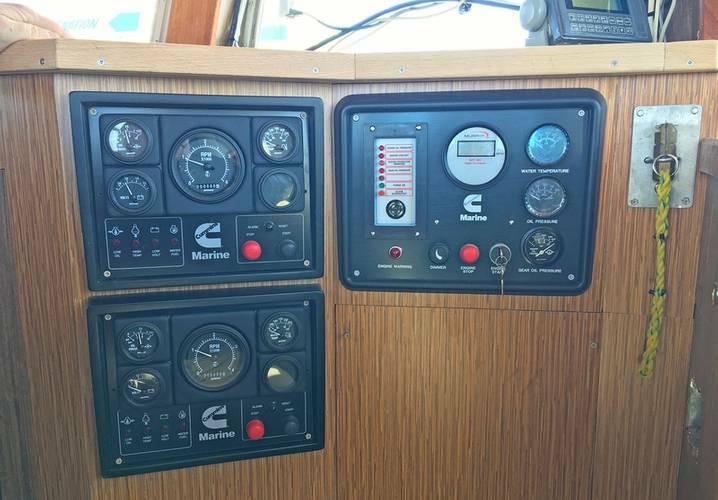 One of these has a power takeoff for hydraulics and the other also drives the vessel’s refrigeration system. Built in British Columbia in 1979, the aluminum boat was brought around to the east coast and is currently outfitted for the Gulf of St. Lawrence snow crab fishery. There is a crab pot hauler and a deck crane. The hold keeps the catch chilled in RSW tanks. The repowered and refurbished boat went back in the water in December 2017 in good time for the 2018 snow crab season. The Kara-Matt is now good for another 40 years with an engine to match.